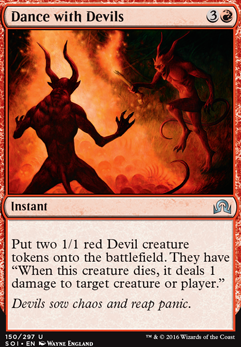 Molten Birth is a possibly reusable token gen. Dance with Devils can work for some extra damage. Read the Bones is good card draw! Chandra's Phoenix is an awesome card that's very dependable since it has haste. Hellspark Elemental and its friend Hell's Thunder are also great, getting same turn value that you can bring back. 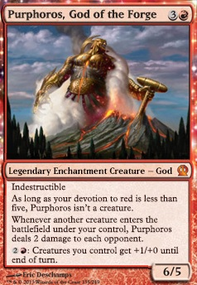 The big Elementals in the deck are cool, but Battle Hymn is such a neat card that I would consider going for a more is better instead of bigger is better. I see a lot of synergy between Battle Hymn, Elemental Mastery, and Soulsurge Elemental. Young Pyromancer is also a crazy card. Awaken the Ancient is also neat for mono-red and for an Elemental Mastery play, but I would be hesitant to suggest Rockslide Elemental because you have no sacrifice outlets (and that doesn't seem a theme of the deck) and the card has no kind of protection aside from First Strike. Seems like a slow turn 3, but it could fit it in you'd generated a bunch of 1/1s I guess. Bloodlust Inciter is a personal favorite of mine and AEther Membrane is sick, too. As for noncreature stuff, what sticks out to me is Abrade, Lightning Bolt (of course), Chandra's Outrage, Dance with Devils, Increasing Vengeance, Firebolt, Chandra's Ignition (if you include having enough big creatures)I think card drawing is very powerful in faster decks, so things like Act on Impulse and Faithless Looting can be nice. 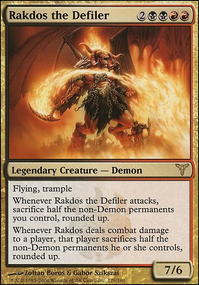 If you want more tempo mana throw in Pyretic Ritual too, and the whole deck could benefit from something with prowess. I would run the Wilds over the maps and I would try to make a 60 decks with 23 lands including the wilds as a land. You should try to make your deck more concise. Try to think what your deck want to do in each turn to win a game. Any drop 4 or higher should be oriented to recover on the board or close the game. Cards like Inner Struggle and Dance with Devils are probably not what you want to do because it lacks tempo and could be replaced by something cheaper. 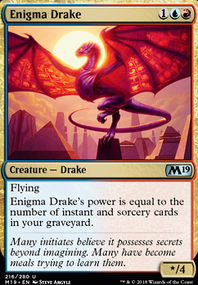 You kept alot of the utility spells and some non-optimal creatures, you can still play the list as is, but try to think after a game of what went bad and what went well. Usually you want to play more "4 of" to increase the chances your games are played the same way against the same match. While playing more you'll find the cards that does worth their slot in the 60 cards with your strategy and you should be able to reduce it naturally. However, try not to play more then 63 cards for start. make switch if you want to test more cards. hmm, perhaps take out Satyr Hedonist(you are in green so you have plenty of better ramp IMO, Reckless Reveler (there are better artifact removal creatures and spells), Brute Force (your guys should be big enough without a 1 time use spell). Dance with Devils for 4 only grants you 2 guys, not that great. Same thing with Fated Intervention. Take out Stonefury, Titanic Growth, Titan's Strength for the same reason as brute force. Your goal here should be two-fold (I think):#1 Pump out tons and tons of small token dudes. Use those tokens in either of 2 ways: Swarm and mass pump like with beastmaster's ascension. 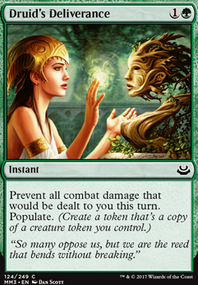 OR use those tokens to be devoured by your commander and swing with (hopefully) trampling hasting +25/25 for that 21 voltron commander damage (you need to devour at least 5 guys for 25/25). Perhaps take out other creatures that devour because you probably either want a ton of small dudes or your big commander instead of a few big-ish creatures. This will give you 2 main ways to win. Red-Black Madness deck, he rocks in. I know how you feel, I love the flavor in him, and while he is costed for a RDW, his abilities just don't jive, making all us brewers sad. Just did a few playtests, and it feels way more cohesive. 2 Dance with Devils with Shared Animosity on board, then top decked an Impetuous Devils and it was nasty. 4 5/1's with death=ping and an 11/1 trample haste. I really wish there was room for some form of card draw in this cuz this deck sorely needs it once its smashed everything in.